The Polly Hill Arboretum » Blog Archive » Brie Arthur at Polly Hill Arboretum in July! Brie Arthur, Author of The Foodscape Revolution, will be visiting Martha’s Vineyard in July to give a lecture and a children’s program at Polly Hill Arboretum. Both events are sponsored by Island Grown Initiative and Polly Hill Arboretum. Join Brie Arthur for a presentation on her signature design technique, “Foodscaping”—a sustainable landscape practice that combines beauty and utility. Learn to think outside the box by incorporating edibles into traditional ornamental landscapes, increasing biodiversity and food production potential in your garden. The best edible and ornamental plant combinations will be featured, to inspire attendees to create purposeful landscapes that engage the whole family. Solutions to the challenge of browsing animals will be discussed. Brie will also share how she works with public school systems and suburban housing developments, providing sustainable solutions that change the way green spaces are designed and utilized. Copies of Brie’s new book, The Foodscape Revolution (St. Lynn’s Press, 2017) will be available for purchase and signing at her talk. $15/child. Pre-registration is required. Call 508-693-9426 to sign up. Open to children aged 6-12. Children must be accompanied by an adult. Join Brie Arthur, author of The Foodscape Revolution, to learn how to sow the seeds that will grow into a bountiful salad. In this participation-driven children’s workshop, attendees will get their hands dirty as they learn how soil, water and sunlight allow seeds to germinate. Each participant will get to take their own sown seeds home and experience the joys of growing fresh produce. Originally from southeastern Michigan, Brie Arthur studied Landscape Design and Horticulture at Purdue University. 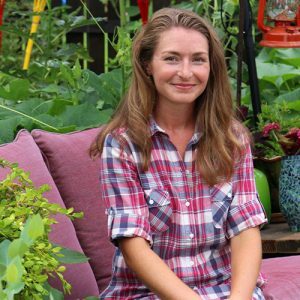 With more than a decade of experience as a grower and propagator at leading nurseries such as Plant Delights and Camellia Forest, she combines her passion for plants and sustainable land management by communicating the value of horticulture. Brie has been dubbed a revolutionary for her leadership in the suburban Foodscape movement and for her work with public schools across the US. 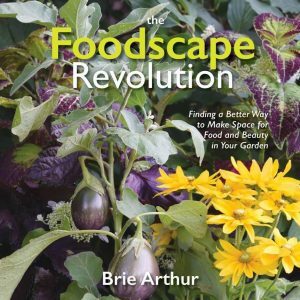 In 2017, Brie was honored as the first recipient of the The American Horticultural Society‘s Emerging Horticultural Professional Award and her first book, The Foodscape Revolution, was published by St Lynn’s Press.